This is a memoir telling David Rat’s story, going from having a groundbrekaing career as the drummer of the band Rat At Rat R to a devastating addiction to heroin. It tells the story of extreme highs and lows of his struggle against his addiction to heroin. His prose is written in free verse and takes you along on his destructive journey, detailing all the horrid things that he went through and felt. He tells of the lives that he touched, the loves that he loved and then lost, and his long and eventual recovery. He had one source that made him get better–James, his young son. The prose is dark, apologetic and gripping. It showcases the fact that even in the darkest of times, there is still a chance to do the impossible. Stop the addiction that is destroying everything that you love. Friends. Family. Yourself. My first thought when I finished this book was wow. I was blown away. This memoir not only packs a punch, but keeps you intrigued and reading more to see what will happen. I was captivated from page one and my attention was kept throughout the entire book. I couldn’t put it down and had to read it in one sitting. I found the words on the cover and the image to be very contradicting. How can needles have a happy ending? They almost always have a negative connotation and bring bad news. The cover art was creative and had a stark contast between the colors and the white background. It is an intriguing cover that captures your attention. The prose was very well written and each verse broke my heart. The writing was so compelling and vivid, and stated everything bluntly. No sugar coating here. With every word that I read, I could feel the emotion that the author felt, I felt the heartbreak and the pain. The writing was done in a way that each word was not wasted, and the short verses had twice the impact of the long ones. The author’s story tells of heart breaks, loves won and lost, fame and fortune and the dark world of drugs. It seemed as though everytime David Rat got out, something else would bring him down back to the drugs. However, the one thing that finally got him out completely was his son. His love for him was no match for the drugs. This was a dark book that I usually don’t read and it was a change of pace from what I have been reading lately. It definitely brought a new perspective to the world around me. I know that drugs and rehab exist and the dangers of them. However, the way that this memoir was written made it seem so much closer to home than usual. For anyone who has ever known of a drug addict or has been affected, I would recommend this book. The pain and struggle that resonates with each word as it is read just grabs hold of you and won’t let you go. Not until you finish it all. 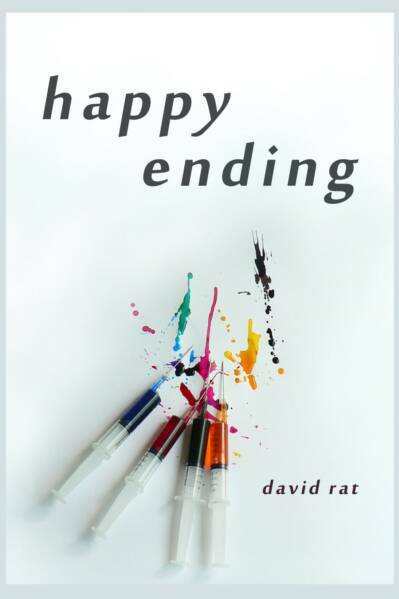 Categories: Book Reviews | Tags: addiction, david rat, dreams, drugs, fatherhood, happy ending, rehab | Permalink. long time I broke Its chains. There are days when I need cheering up, or to be pushed or just to enjoy the moment. This song is a great one for those kinds of things. There is no way that you can be sad once you are done listening to it. This song reminds me of the things I have worked for so hard in the past and when I accomplished them, it was like a new beginning. I felt empowered to do anything no matter how small or big. I am also reminded every time that there are still a lot of things that I have not yet accomplished due to lack of time, money or some other reason. I will persevere and try to get them done sooner rather than later. It might take me a few days or weeks, but the important thing is to complete them. The knowledge of having your dreams realized is a powerful thing. It will keep knocking on your door (within your subconscious) and reminding you to get it done. We all have dreams that have not yet been realized or put to the side due to circumstances. Take them out and get started! Categories: Music Wednesdays | Tags: 2012, dreams, music, music wednesdays, rise up, yves larock | Permalink.